With Thanksgiving behind us and Christmas on the horizon, the holiday season is now in full swing. As we approach the time of year where new games lay nestled under the tree, let’s talk about what games will keep us occupied between now and that glorious day of joy and merrymaking. After owning the console for almost a year, I’m finally diving into the deep end of the pool with my NES Classic. And the first game on my list could be none of other than one of the granddaddies of all RPGs: Final Fantasy. My journey so far has been perhaps more engaging than it was when I first played this game back in the 90’s – due in no small part to my now-decades of experience playing and loving RPGs. While some of the more archaic elements – and glitches – have caused me a small amount of frustration, I can’t help but love this small piece of gaming past. I hope with this run to finally say that I have beaten the original game in a series I have long loved. 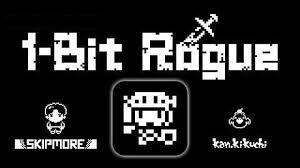 A quirky little Roguelike I just found on mobile. The gameplay strongly resembles the likes of Quest of Dungeons and Tangledeep, featuring a lone adventurer exploring floor after floor of procedurally generated caves. I’ve only just dipped my toe into this title, but I’m already hooked. The throwback, black and white art style and familiar gameplay is scratching a very important itch. 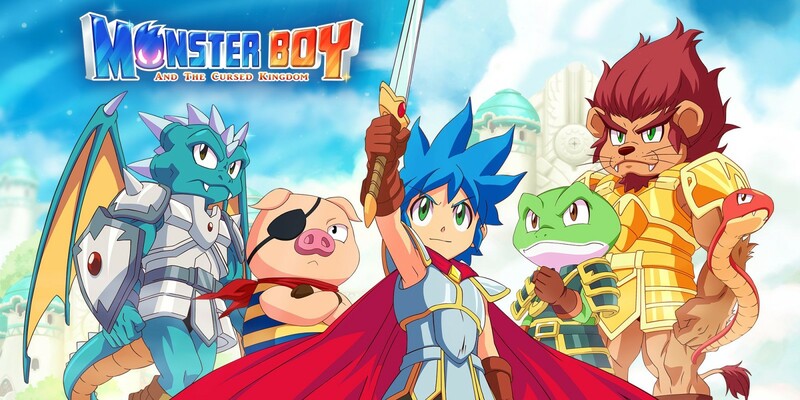 Filling in my Switch playtime this weekend will be Monster Boy and the Cursed Kingdom, an upcoming release directly inspired by Wonder Boy III: The Dragon’s Trap. The remaster of Wonder Boy for the Switch is still one of my favorite platformers on the system, and I’m finding Monster Boy to so far be a delightful advancement of the original franchise. I still have a ways to go before the promised form changing powers really take prominence, but I look forward to seeing where the adventure takes me. Retro-inspired seems to be the name of the game for me this week, though with the Super Smash Brothers Ultimate and the holidays bearing down on us, I’m sure the tides will turn to newer titles in the near future. What are you playing to bide your time until the yuletide deluge? Let us know in the comments below. Looking forward to your take on Monster Boy! It’s hilarious how many things, such as specific spells that were downright broken in Final Fantasy. As for me, I’ll be finishing up Marenia Tavern Story (hopefully), and maybe finally getting around to fully completing Dragon Quest XI.